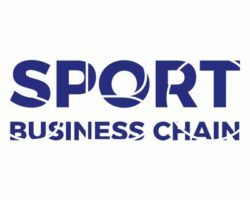 We are organising a sport business conference for Eastern Europe’s sport stakeholders in Bucharest, between 28th – 30th September. 3 days full of insights, know-how, workshops and networking! Join us in Bucharest, at Domeniul Stirbey, between 28 – 30 September at the largest sport business conference dedicated to the key Eastern European sport stakeholders. Check out a Preview of the event here. Help us build the networking hub for sport business practitioners and enthusiasts to meet, share their hustle, develop themselves and grow the sport business landscape within Eastern Europe. Hestourex – World Health, Sport, Tourism Congress & Exhibition, is going to be held in Antalya, Turkey between 06th and 09th of April 2017. Hestourex Congress & Exhibition is supported by the Ministry of Foreign Affairs, Ministry of Culture and Tourism, Ministry of Economy, Ministry of Health, Ministry of Development, Ministry of Youth and Sports of Turkey. Hestourex has gradually evolved to become Turkey’s First and Only platform, where thousands of people from the health tourism, sports tourism and sustainable tourism sectors across the globe meet to discuss the policies and procedures, legal framework, latest trends, competitors & stakeholders, medical tour business acumen, certification, how & with whom to tie up for business. Hestourex Exhibition mainly focuses on the representatives of health tourism, sport tourism and alternative tourism industries from all over the world. Hestourex Exhibition will also conduct a Hosted Buyers Program, with participants from at least 50 countries, providing them with an opportunity collaborate and conduct business with suppliers from Turkey. We will invite key decision makers of health, sport and alternative tourism industries in order for them to develop business with their Turkish counterparts. We will cover flight, accommodation and transfer costs of these hosted buyers. Viva sua paixao‘ – Live your passion! This is the official slogan for the 2016 Olympic Games in Rio de Janeiro. 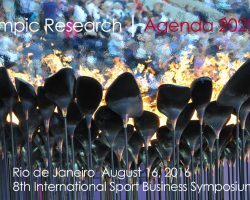 Following this spirit, we would like to welcome you to Rio for the 8th International Sport Business Symposium, organised by Professor Holger Preuss (Mainz) in cooperation with Professor Lamartine DaCosta (Rio de Janeiro). The host must undertake tremendous efforts to not only fulfil the requirements for staging the Games, but also to maximize the economic, social, environmental, political, and structural benefits which come along with the event. This demand is underpinned in the IOC’s Agenda 2020. The current programme includes a workshop ‘Sustainability and Legacy’. Those members of the IOC Commission on Sustainability and Legacy will meet with selected scholars from around the world to discuss and shape the newly developed legacy framework. Additionally there will be a discussion group which includes the topic: ‘What Rio 2016 can contribute for the upcoming 2017-2020 in education programs’. The Global Games Market Report is the annual highlight of our continuous Global Games Market Report Premium service which also includes quarterly updates, granular data sets, access to our Global Data dashboard, and analysis support. It includes revenues and projections for individual regions, market segments, screens, and key countries for the period 2015-2019. 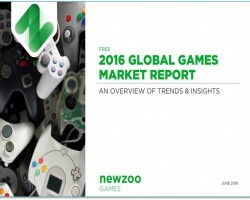 Trusted by key players both inside and outside the industry, it provides a clear overview of the current state and future outlook of the global games market.